Watch the latest 'Being Mary Jane' finale movie teaser with Morris Chestnut - Ooooooo La La! After being on hiatus for more than a year, BET has decided to finallyyy bring "Being Mary Jane" back... but, not with a full season of episodes. The show will wrap up with a two-hour series finale movie. If you recall, season four ended with Jason (Michael Ealy) breaking up with Mary Jane (Gabrielle Union) after she chose Kara (Lisa Vidal) for the executive producer position at Great Day USA instead of him. Well, MJ thought she had another breakup under her belt and thought Jason left her for good. She decided to move forward with a sperm donor and had her frozen embryos implanted. But then, Jason actually came back AND with a ring! The series ended with Jason on bended knee (not knowing MJ impregnated herself). But, we don't know if MJ said "yes" or "no" because that's how the season 4 finale ended! Well, in this movie finale, it looks like MJ has moved on as she's seen kissing on a new boy toy. Morris Chesnut will appear as MJ's new love interest. Will Mary Jane finally get her happy ending? I hope so! 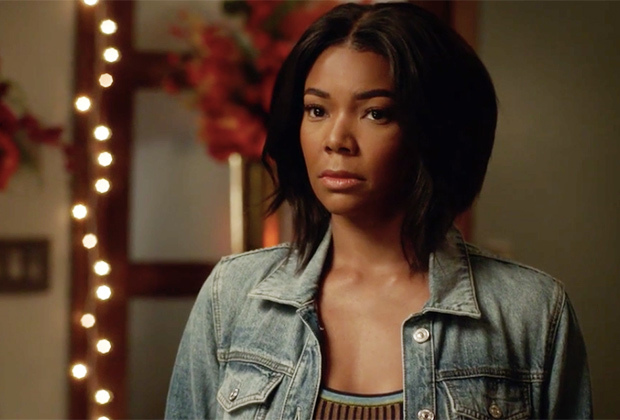 The "Being Mary Jane" series finale movie will air on April 16th at 9/8c on BET.